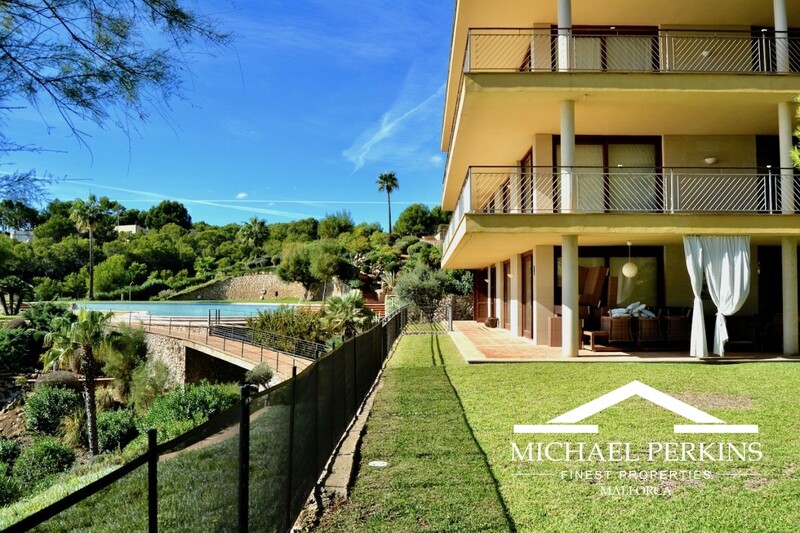 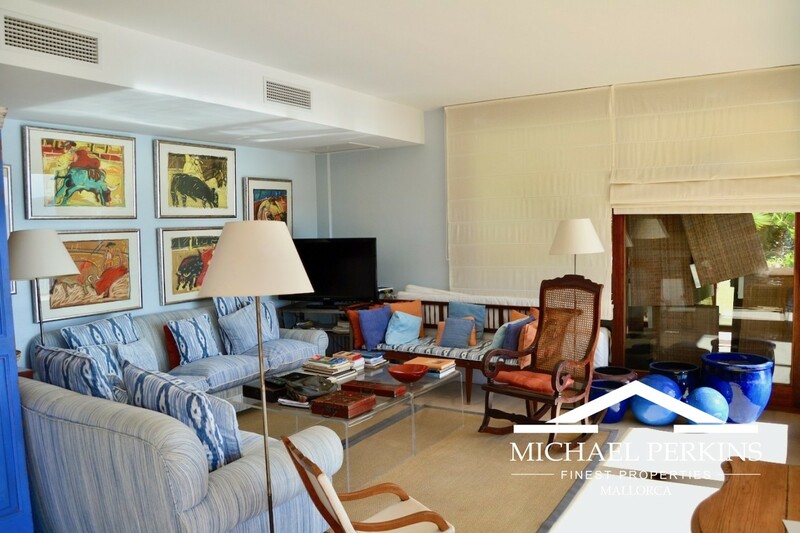 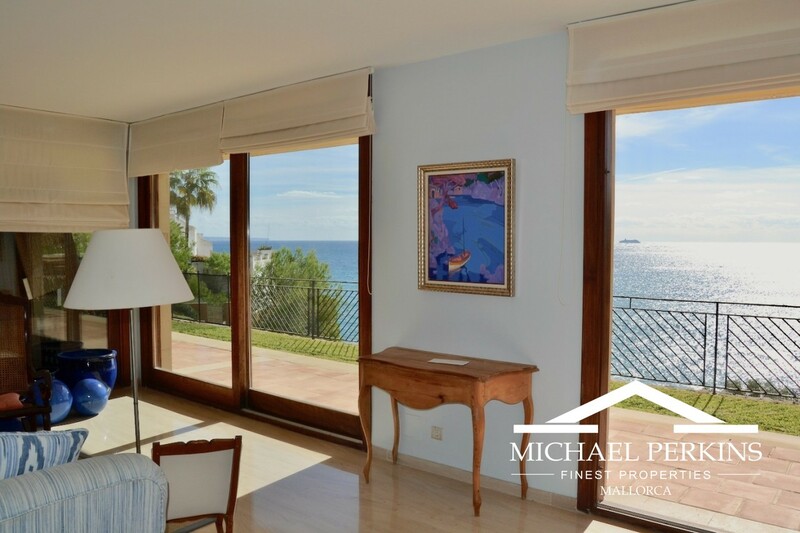 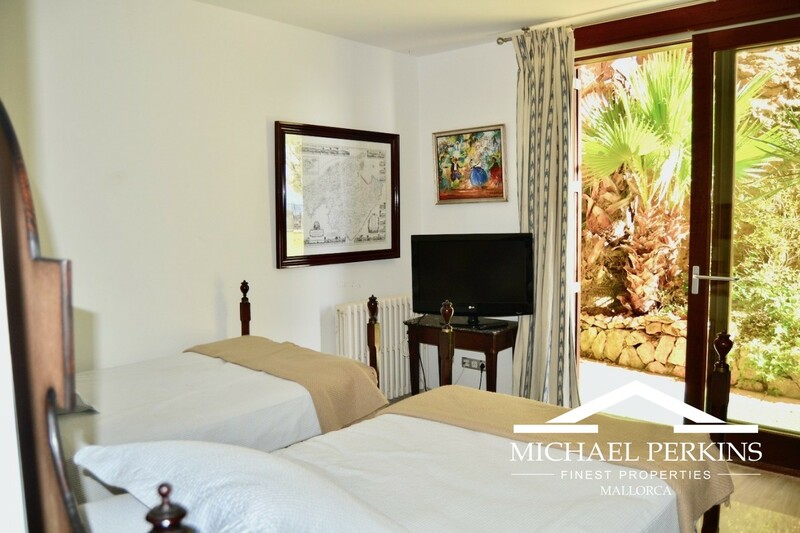 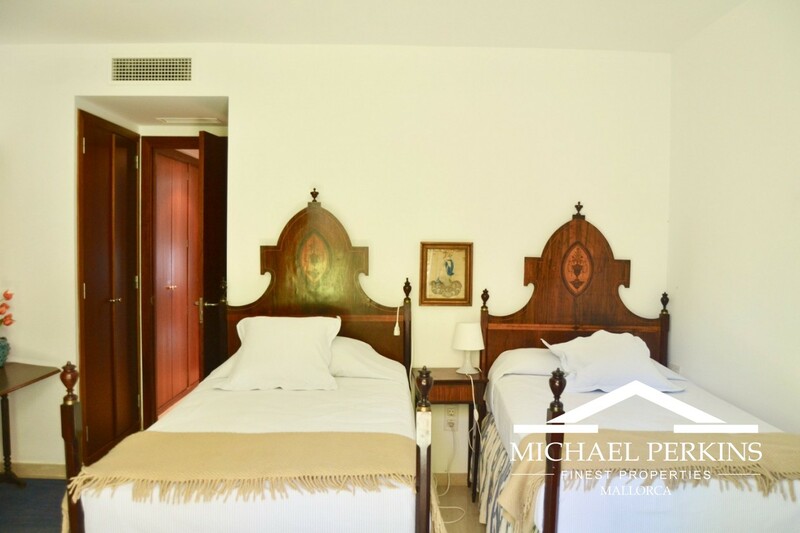 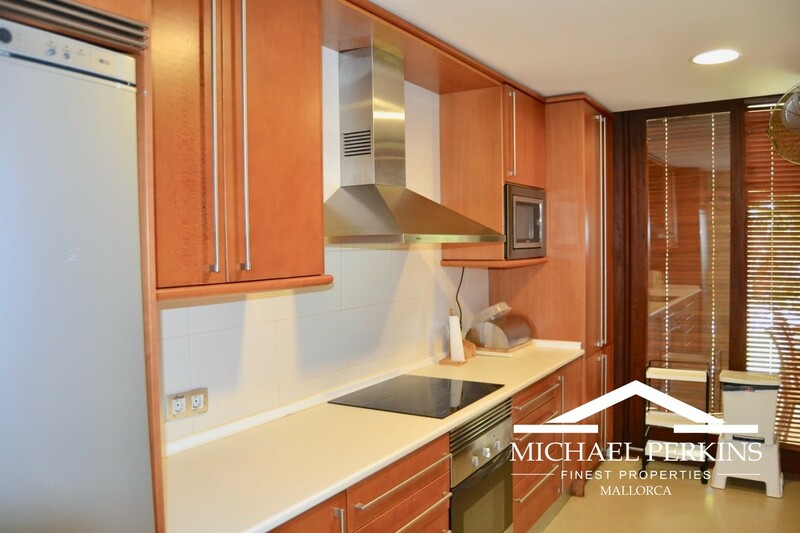 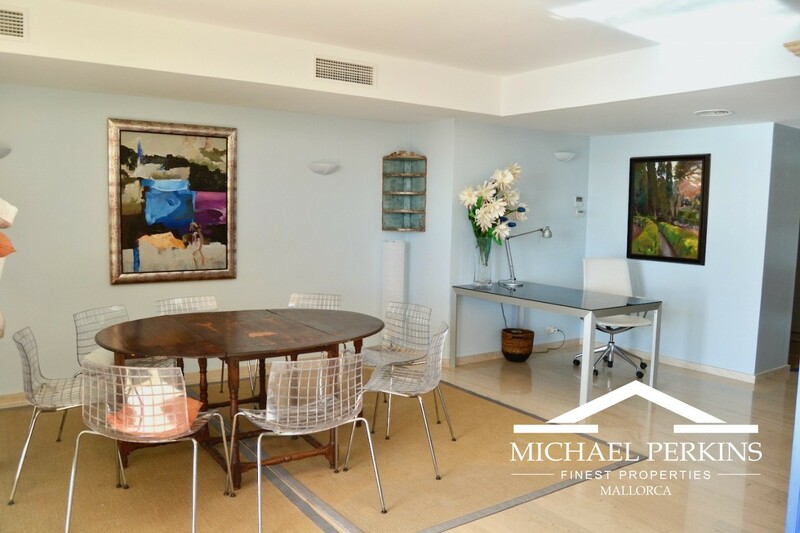 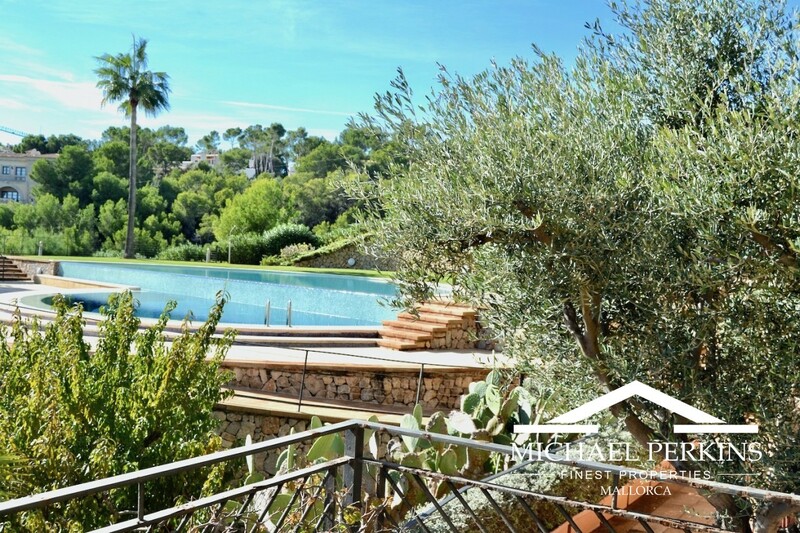 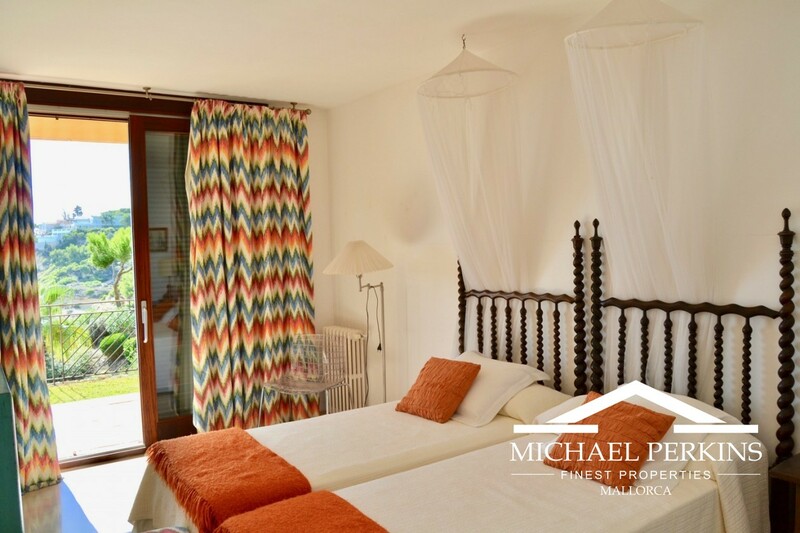 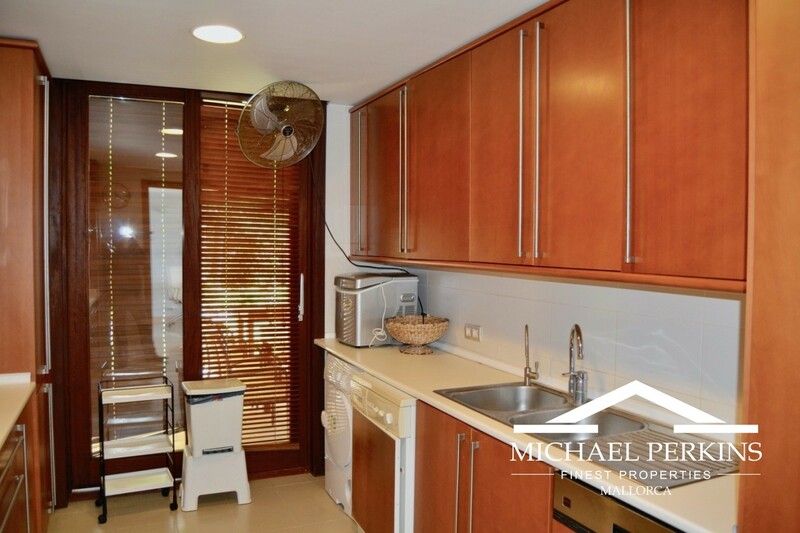 This large, ground floor, frontline apartment is situated in a prestigious development in the exclusive area of Sol de Mallorca. 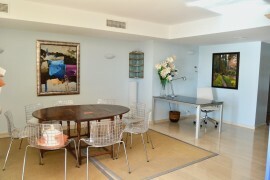 The apartment has a large "L shaped" living/dining room with access to a lawned garden and terrace with spectacualr sea views. 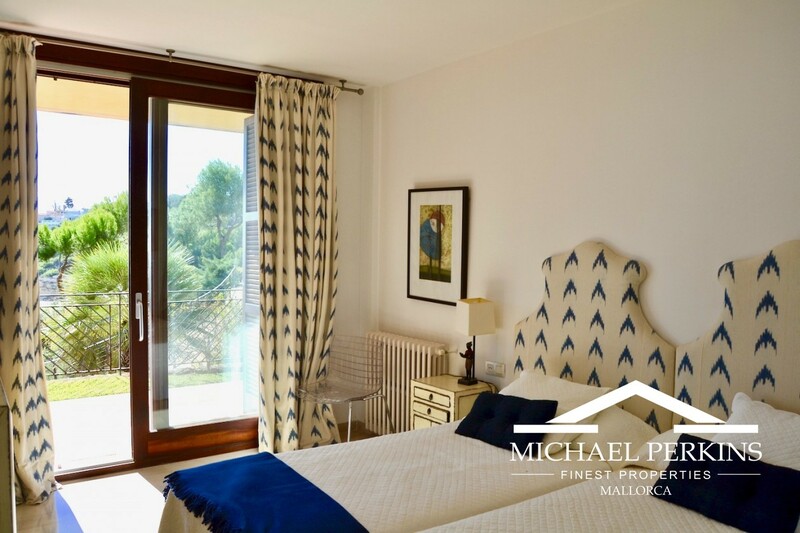 There is a fully fitted kitchen, four bedrooms, four bathrooms with two en-suite and two dressing rooms, one of which is large enough to be a fifth bedroom, heating and air conditioning. 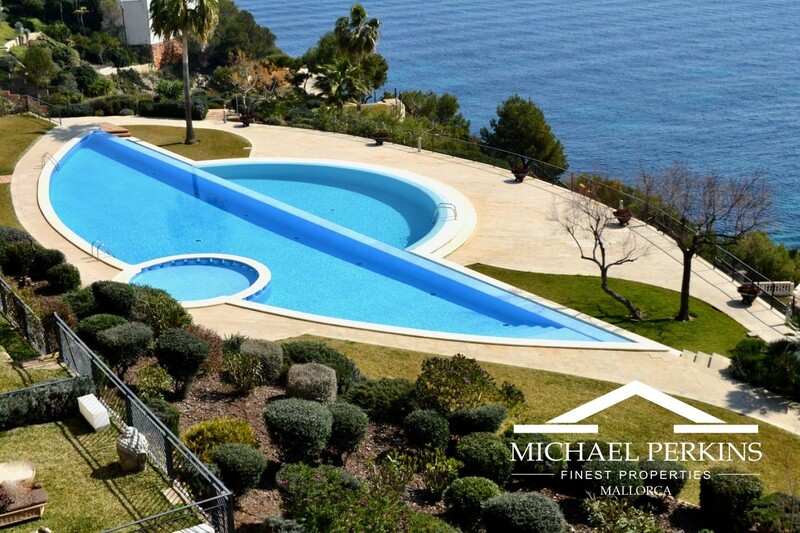 This well maintained, gated and secure community has two swimming pools, sea access, 24 hour porter, beautiful landscaped gardens and parking. 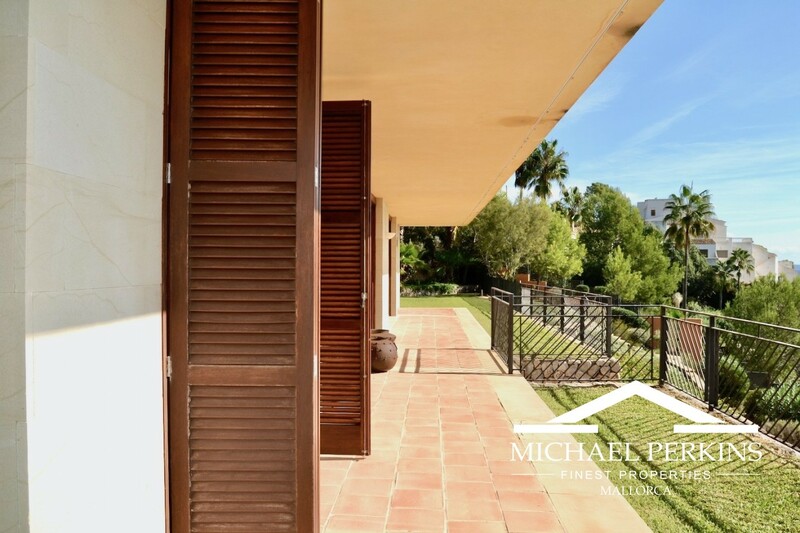 Only 30 minutes from the airport, 20 minutes from Palma and 10 minutes from the prestigious marinas of Puerto Portals and Port Adriano. 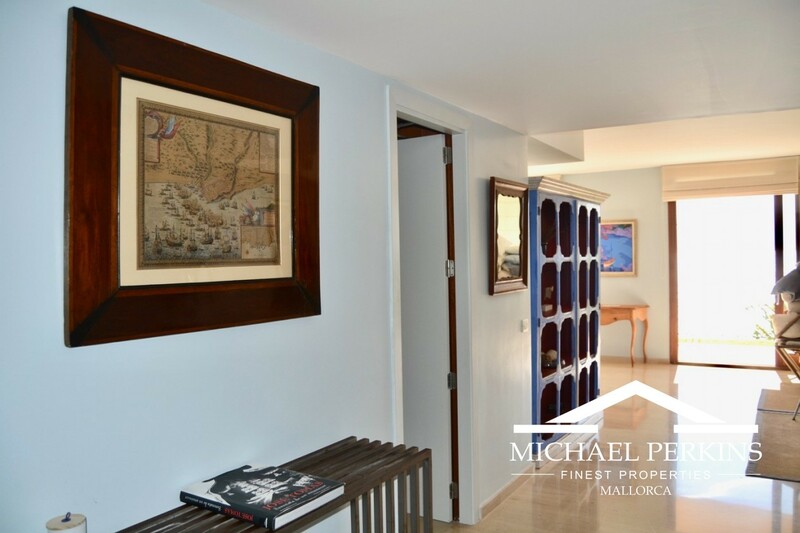 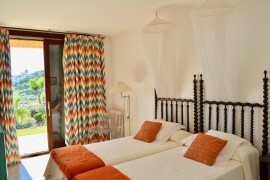 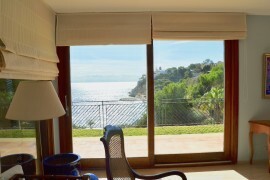 5 minutes walking distance to several beautiful bays, some with beachside restaurants. 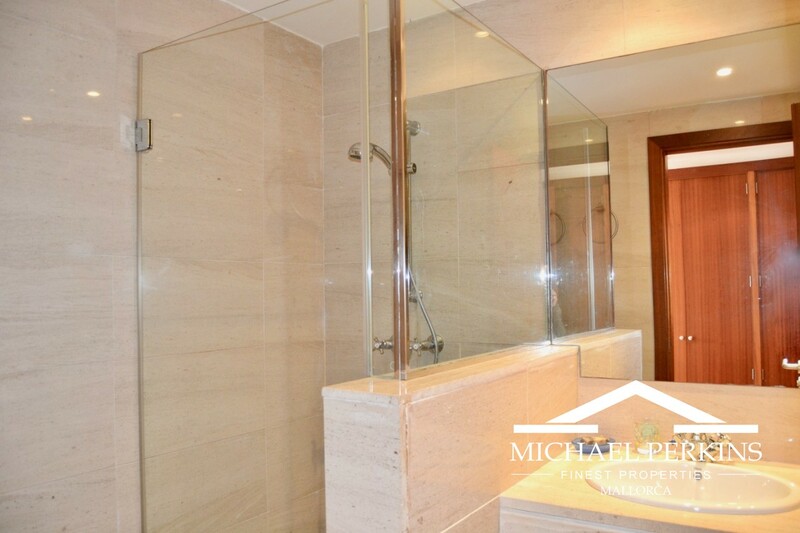 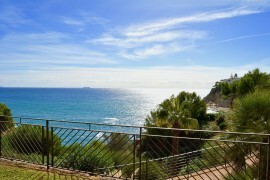 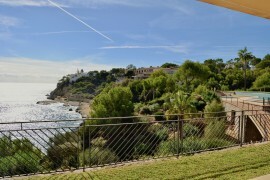 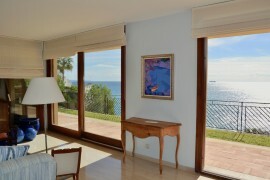 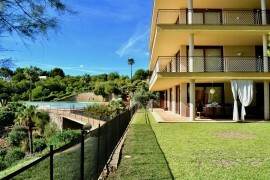 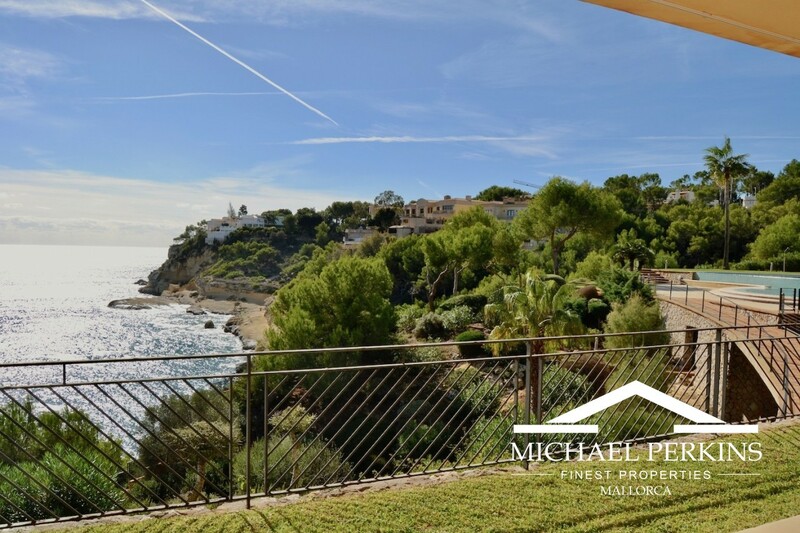 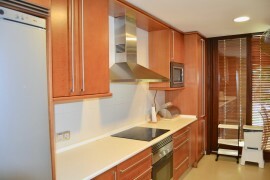 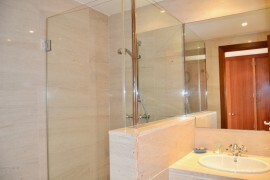 An apartment with breathtaking sea views in a much sought after development.